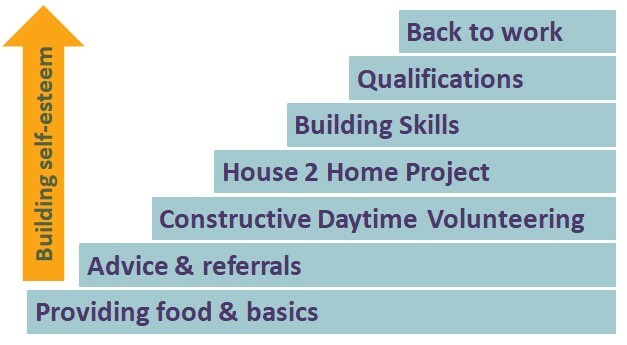 We support people through a range of services to move towards their goals, enabling people to move forward from homelessness, domestic violence, addictions, mental ill-health and unemployment. We also support recently re-homed and low income families with furniture and basics through our House2Home project. If you or someone you know would benefit from the support of the Helping Hands Community project please get in touch with details to helpinghandsreferral@gmail.com or pop into The Lighthouse. If possible, please provide the following details to help us help you as quickly as possible – thank you! We offer a range of support that we offer to help people get back on their feet.